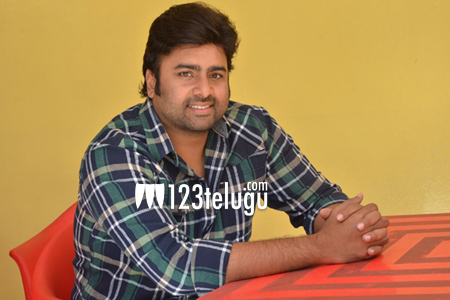 The success of Appatlo Okadundevadu proved that Nara Rohit has an eye for different films. The film is being hugely appreciated and on this occasion, we caught up with him for a detailed interview. Let’s see what he has to say. How is the response for your film? It is very good. Actually, I am very surprised by the way our film is being appreciated all over. We never imagined such success and are very happy that everyone is liking his film this much. With this weekend, the film will enter profit zone and I am very excited about it. Why did you accept a role which has such short screen time? Frankly, I never believe in the length of my characters. For me, the impact that my role Imtiaz Ali would create was important. Theses are the kind of roles which I feel very proud in playing such roles because they make a lot of difference to the film even though you are not the main lead. Everyone says that you produced this film only for Sree Vishnu? Sree Vishnu and I go a long way back. If he did not have the talent, I would have never produced a film for him. Even though many are saying that I did this only for friendship, I don’t mind taking that also as he is someone very dear to me. Tell us more about this film? We had this script with us from the last two years. A lot of thought process went into the script. Initially, we wanted to add a heroine for my character but we backed out at the last minute. We wanted to release the film in June but waited as Jo Atchutananda came in the middle. Again, for the last two months, we had to wait because of the demonetization effect. It has been a mixed bag and I have learned a lot from my failures. I pushed myself very hard last year and decided that I should do only one film at a time and not confuse the audience with too many projects. I also found out what my strengths are and what kind of films people want to me to do. I want to get fit and I have already started working out for the same. I am doing a commercial film with Pawan Mallela from February and want to look my fittest best in the film. Health wise, I want to be happy and I am confident that I will achieve the goal soon. Yes ! In fact, our next film in our banner is with Sree Vishnu and is almost complete. I will surely produce films in the future only if I like the script.